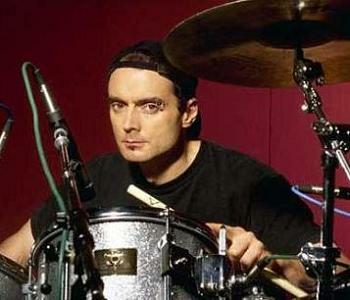 Born in 1958 in Australia, Virgil Donati plays drumset from 3 years old and began taking lessons at seven. At 19, he studied 2 years in the US with among others Philly Joe Jones in person, one of the greatest drumset virtuosos of jazz Bebop. Virgil is at ease as well in jazz as in rock, making him naturally one of the best fusion (jazz-rock) drummers in the vein of Billy Cobham and comparable to Terry Bozzio, Dave Weckl, or Vinnie Colaiuta. His mastery with the double bass drum pedal is remarkable with original concepts such as the double stroke roll (RRLL) with heel-toe or jumped single stroke rolls of 3 inverted (a summit of sophistication with the feet). He is also a specialist of asymmetric measures and polyrhythmic shifts including with independent beats on two hi-hats. 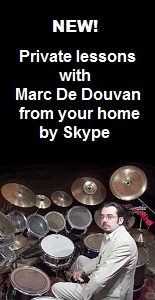 He also offers instructional videos and musical scores.